It’s no longer an unusual sight to see the world’s best golfers using something other than a conventional grip. In recent years, SuperStroke has challenged what can be achieved in terms of grip performance, introducing a range of products, a number of which have played a significant role in the success enjoyed by the likes of Jordan Spieth and Sergio Garcia, to name but two. One of the most effective innovations has been the brand’s CounterCore technology. Putter grips equipped with this revolutionary technology allows golfers to fine-tune the feel and stability of their putter by adjusting the weight of the grip – a simple process. Adding weight engages larger muscles in the arms, shoulders and back, reducing face angle rotation and improving the path of the stroke. It also encourages a pendulum motion, regarded as the textbook action by many which produces the most successful results on the greens. This combines with SuperStroke’s No Taper Technology. Conventional putter grips are tapered and create uneven grip pressure, but this technology promotes even grip pressure for a more reliable putter action. Both technologies combine in the popular Pistol GT grips, the smallest in the range, which SuperStoke says gives golfers currently using a conventional grip a smooth transition into the parallel technology pioneered by the brand for a controlled putting stroke. 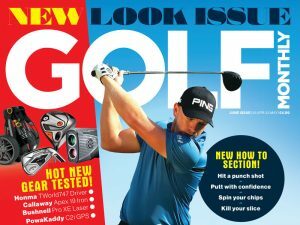 ‘Putting is a game within a game’, so the saying goes – and who wouldn’t want to improve this crucial part of the game? The beauty of this technology is that even those who have remained loyal to their favourite flatsticks can try it out without a significant investment. Coaches often talk about the benefits of having an action that’s repeatable and SuperStroke grips certainly help to encourage better consistency. If this helps you to hole out more regularly, especially from short range, then it’s truly game-changing and well worth trying.